Sky, power and box seat: Gutjahr makes your seminar a success! 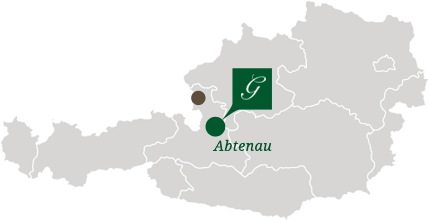 Hotel Gutjahr in Abtenau in Salzburg Land puts particular emphasis on professionality. This not only applies to our team, but also to our special offer for all who want to use our inviting atmosphere for creative highlights and increased productivity: Be inspired by our modern well-equipped seminar room, the sky, power and box seat. The staff of the Wellness Hotel Gutjahr not only provide you with suitable rooms and necessary equipment but will also serve you coffee and tea, cake, snacks, fruit and decanters of water with balls of pine wood – a delicious strengthening for a fresh energy! The use of the seminar room (including a break mid morning as well a break in the afternoon each day) amounts to 35,- Euros per person, per day. The team of Hotel Gutjahr wishes you all the success!